Over the course of three chilly fall days, nearly 80 volunteers fanned out across Burlington collecting information about the city's homeless population. Part of the national 100,000 Homes Campaign, the goal was to identify the most vulnerable, including those not taking advantage of emergency shelter services, and, ultimately, to get them help. The organizers emphasized that they could not promise to provide anyone a place to live. 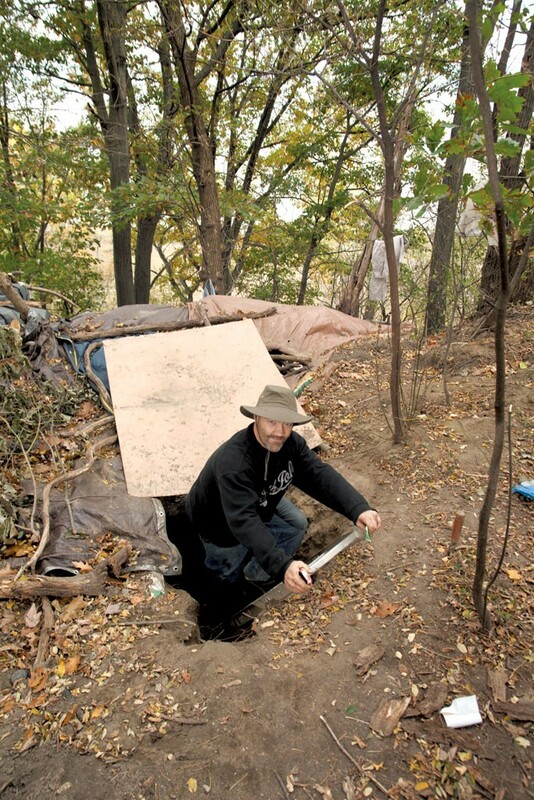 Seven Days followed one group to a wooded area, where a man named Wayne Latulippe had spent the previous four months constructing an elaborate earthen shelter. Latulippe, who agreed to participate in the survey, said he was content in his current abode and planned to stay there through the winter. UPDATE: Approximately one week later, Seven Days got a tip that Latulippe was moving and arrived to find him dismantling his cliffside den. He said that Burlington cops had ordered him — along with several other homeless people who lived nearby — to leave. Upset but defiant, Latulippe said the eviction had "lit a fire under him." He planned to leave Burlington and build a teepee. What exactly led to Latulippe's displacement? Police Chief Mike Schirling said he could not confirm whether they'd responded to a call about Latulippe. But Schirling did say that Burlington College — which owns the land Latulippe built on — made a complaint about homeless encampments on its property the week before the 100,000 Homes Campaign took place. Police visited the encampments and later contacted social workers to offer services to the people living there, according to Schirling, who said he found no record of police actually ordering an eviction. Burlington College did not respond to an interview request. Latulippe could not be reached for this story. He was one of 210 homeless people that the 100,000 Homes Campaign surveyed in Burlington. 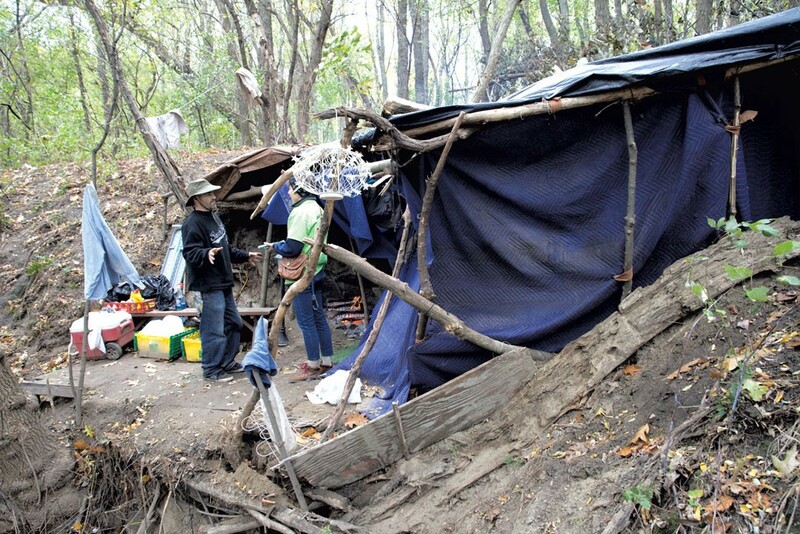 According to the data collected, 141 of them had been homeless for more than a year. The original print version of this article was headlined "A Hole in the Ground Was His Home"